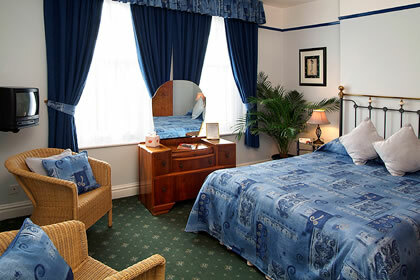 Minehead, one of Somerset’s leading holiday resorts and the ‘Gateway to Exmoor’, is the ideal location from which to explore the National Park and surrounding area and Glendower House, a family run, no smoking guesthouse, is the place to stay for quality Bed and Breakfast accommodation. Situated in an attractive tree lined road, this Edwardian terraced house is only a few minutes level walk from both Minehead town centre and the sea front with its wide sandy beach and promenade leading to the old harbour. 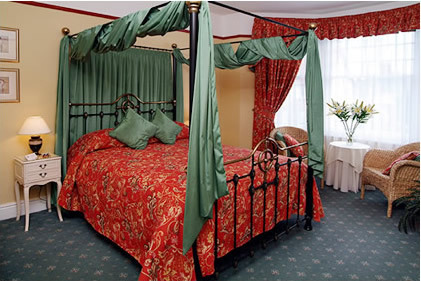 Our accommodation is made up of three singles, five doubles, three twins, two of which are on the ground floor, giving level access to all areas, and for that special occasion a four poster. Those at the rear of the house overlook the garden and the hills on the edge of Exmoor. 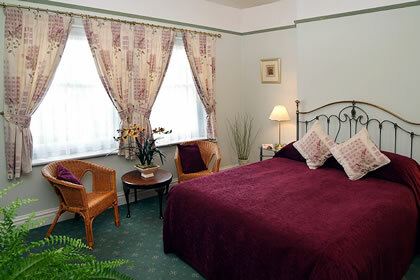 All rooms have been individually decorated and furnished to a high standard, are centrally heated and include the usual amenities, colour television, tea and coffee making facilities, radio/clock alarm and hair dryer. As you would expect from a guesthouse of this quality, all have their own en suite shower room, with luxury toiletries. 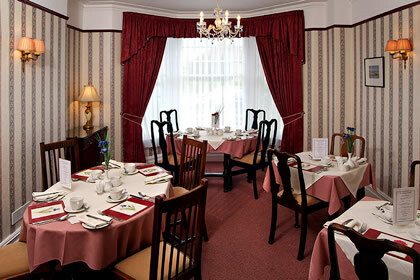 Breakfast is served in our spacious dining room. We offer a varied selection of items, all freshly prepared, using wherever possible, local, organic and fairtrade products. These include fairtrade fruit juices, Exmoor organic sausage and bacon and marmalades and jams handcrafted in the Brendon Hills. Particular dietary requirements can be catered for, please let us know. 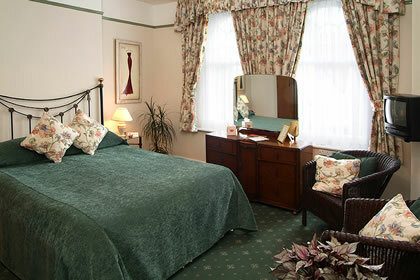 A homely lounge provides the ideal place to relax, read a good book and meet other guests. We are not licensed, but you are welcome to bring your own drinks, which can be chilled if required and we will provide glasses. There is a large private car park at the rear of the house and a delightful garden in which to enjoy a sunny day. 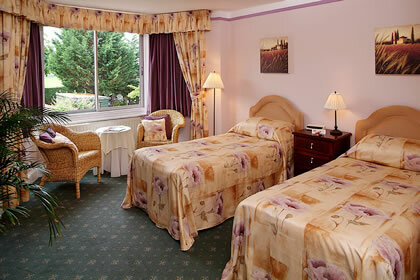 For the comfort and safety of all guests, a no smoking policy is adopted throughout. The name Minehead is Celtic and it’s origin is similar to the Welsh ‘mynydd’ meaning mountain, an old reference to North Hill in whose lee the town stands. Picturesque gardens, a good variety of restaurants, pubs, entertainment and sports facilities makes it the ideal place for all holidaymakers. One attraction not to be missed is the West Somerset Railway; Britains longest and most lovingly restored heritage railway travelling to Bishops Lydeard near Taunton. The Exmoor National Park is a protected area of approximately 267 square miles within North Devon and West Somerset. It is a mixture of valleys and combes, high heather moorland and ancient oak woodland. There is a wide variety of wildlife on Exmoor including the famous wild Exmoor pony, which still thrives on the heathland commons, as do the herds of red deer. There are over 700 miles of footpaths and bridleways that meander past thatched cottages, quaint villages, stately homes, impressive castles and one of the most dramatic coastlines in England. and Badgeworthy Water, the mysterious valley where R.D. Blackmore based his novel ‘Lorna Doone’.